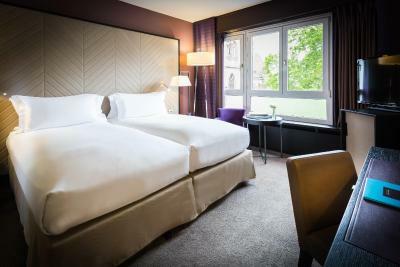 Lock in a great price for Sofitel Strasbourg Grande Ile – rated 8.4 by recent guests! The hotel was clean and the staff friendly and very helpful. 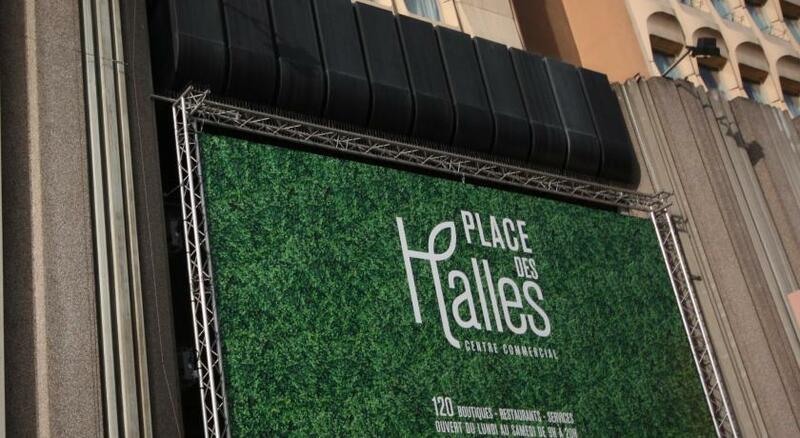 It was great to be in such a central location, close to the Cathedral and good restaurants. The complimentary late check out was a kind courtesy. Great to be able to open the window! The free WiFi worked well with instant access and no need to sign in. The breakfast was very good. Good variety and quality of food available. 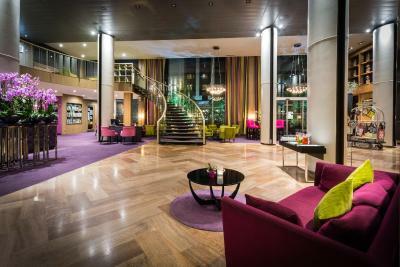 The location was simply outstanding, right at the heart of the historical city center. The staff was extremely helpful and courteous. I had a problem at checkout if my own making but the staff took extra time and care to correct it on my behalf. The staff were lovely. 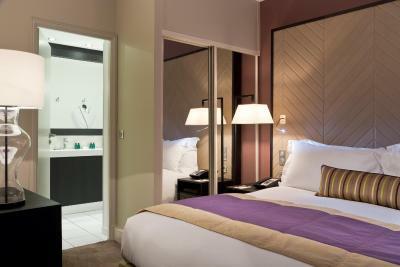 The room was a joy, with a large, very comfortable bed, everything worked and a brilliant shower. The bar was as good as any we visited in town, with heated outside seating comfortable even in the coldest evening. The breakfast was simply the best we've ever enjoyed. I've never been chased through the lobby on my return from my morning run by staff insistent I recover with a free bottle of water ! High comfort, beautiful view from our room, excellent service, highly professional and helpful staff, very good parking facilities. We booked a room with a balcony, very pleasant. Staff was very attentive and helpful. Location was excellent. Location, staff, clean, confirmable, breakfast, help, seven star hotel. 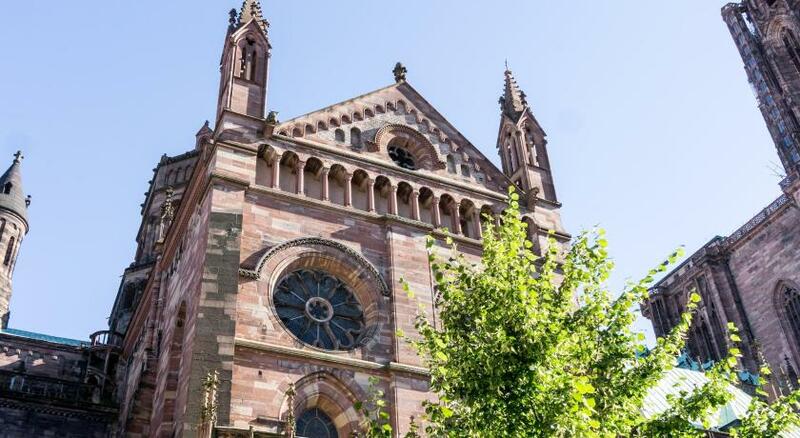 Located on Grande Ile, the historic center of Strasbourg, this luxurious Sofitel offers guestrooms with Sofitel MyBeds, flat-screen TVs and unlimited Wi-Fi internet access. 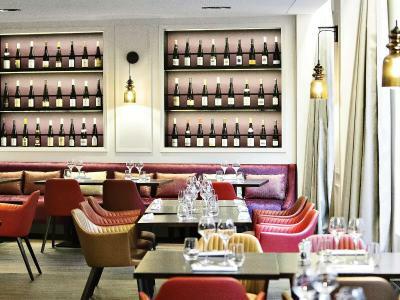 Guests can enjoy French cuisine prepared with local and seasonal produce and sample regional fine wines in the hotel's restaurant. Le Link lounge bar offers a selection of cocktails and champagnes. 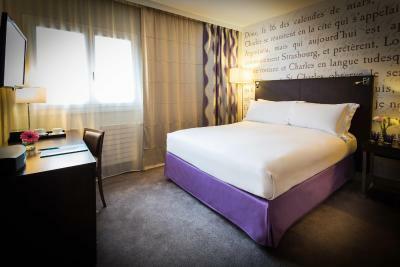 Facilities at the Sofitel Strasbourg Grande Ile include a fitness center and meeting rooms. 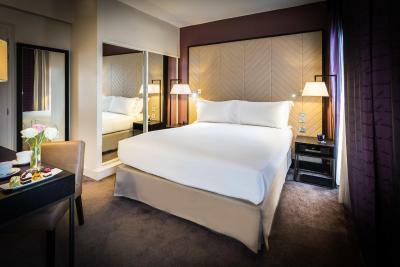 The Sofitel Grande Ile is located near the train station, the historic district of La Petite France and the city’s finest monuments, museums and boutiques. 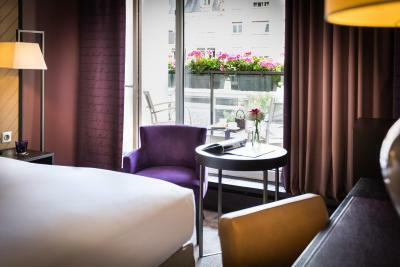 When would you like to stay at Sofitel Strasbourg Grande Ile? This room cannot accommodate an extra bed or a crib. This room features a view of Place Saint-Pierre Le Jeune or the garden. Please note that one baby cot can be accommodated upon request. 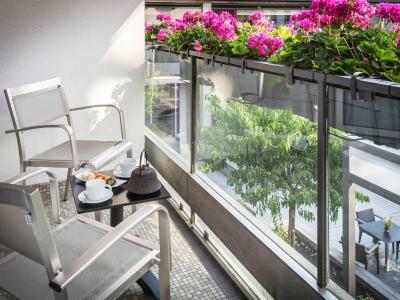 Featuring a view of the garden, this room includes a flat-screen TV with satellite channels, an electric kettle, a desk and a mini-bar. 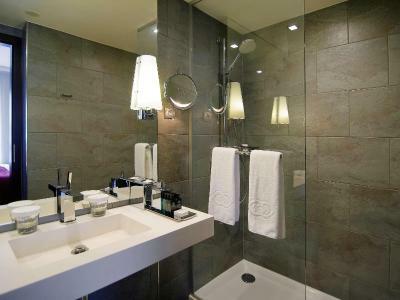 It also features a private bathroom with a bath, a hairdryer and free toiletries. It can not accommodate an extra bed or a baby cot. 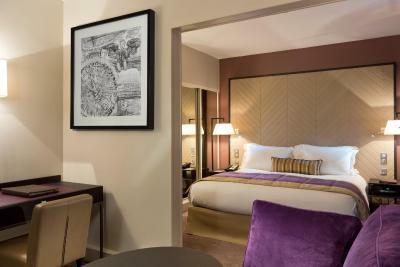 This junior suite features a lounge with a sofa, satellite TV and a mini-bar. This twin/double room has a mini-bar, patio and flat-screen TV. 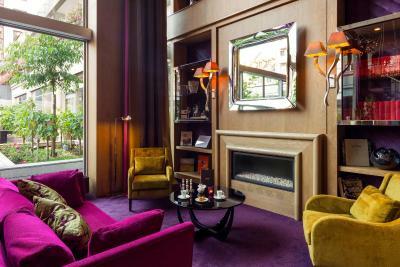 House Rules Sofitel Strasbourg Grande Ile takes special requests – add in the next step! 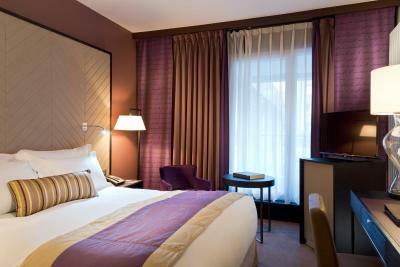 Sofitel Strasbourg Grande Ile accepts these cards and reserves the right to temporarily hold an amount prior to arrival. Perfect Location. Trip become walkable if one stays here. It definetly is far from a 5 star like we know, Four Seasons, Mandarin O, Ritz Carlton. Service is not client focus, it would be a great 4 star hotel. They need to learn the difference of being a 5 star, if they send their staff for training to Four Seasons, for example. 5 star is not a hotel is a soul for service. You need to internelize it :). 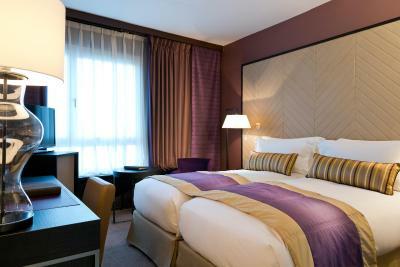 Sorry for Sofitel, a lot to go a real 5 star. I would have been happier to be on a higher floor. The room and bedding was often too hot even with the AC on, maybe because it’s on the first floor with adjacent buildings all around. There was a sound of construction most mornings. I ordered a taxi one time through the hotel and it cost twice as much as an Uber, perhaps this would have been useful to know in advance. Nothing to mention, everything was very good. At a five star hotel property they should have all their rooms merit the five star category... not having sewage smell and pipes making loud noises when water runs down. Staff was very helpful . We reserved a Junior Studio. When we arrived and opened the water the waterpipes made loud noises. At our complain they immediately changed our room. Overall, this Sofitel was very very AVERAGE. 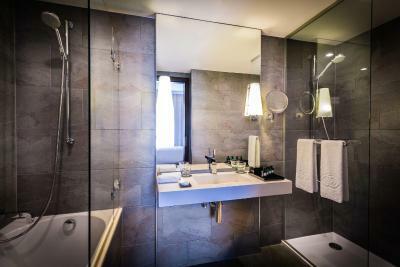 The shower did not quite work, the 'climatization' was not very quiet, the bathtub did not quite drain properly, the sink did not quite work, the lights did not quite work, the bed was not very comfortable, and the smell in the room upon arrival was dusty. 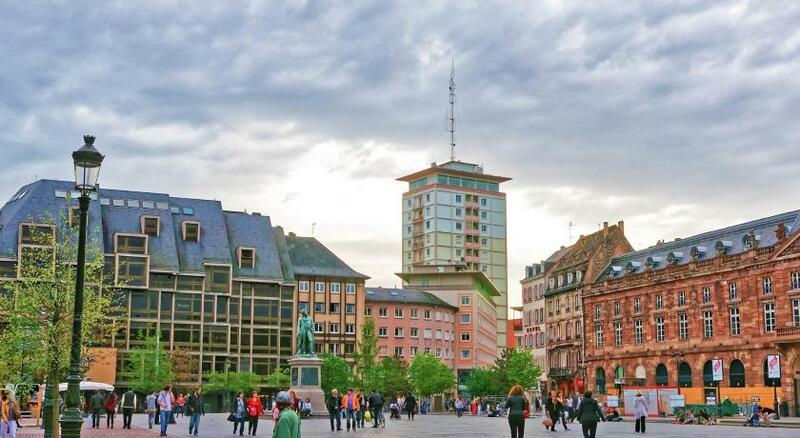 Upon departure, these random problems were made known to the hotel staff (too many minor occurring problems to constantly ask the staff to correct - would be a waste of my limited time in Strasbourg). The response from the check-out staff once these problems were made known: "sorry". I'm sorry for having stayed here. Very disappointing that this Sofitel does not attain the five star standard of the respectable Sofitel name. 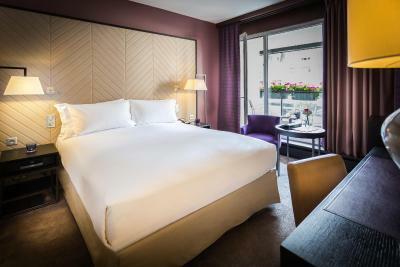 Please either lower the price per night, or change the name from "Sofitel" to "Novotel". 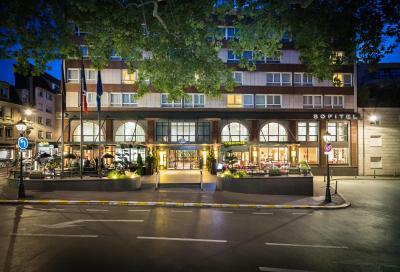 My friend and I are staying in the Sofitel in Munich for 3 nights between 24 - 27 February 2019...hopefully we will experience a classy, respectable and comfortable stay which will hopefully reach correct Sofitel standards. Location - excellent. Double glazed windows + complimentary earplugs = excellent. Complementary drinks upon arrival = nice touch. Black out curtains = very helpful. Quiet neighborhood = decent night's sleep. Room was not big enough. For what we paid, we did expect a larger space. 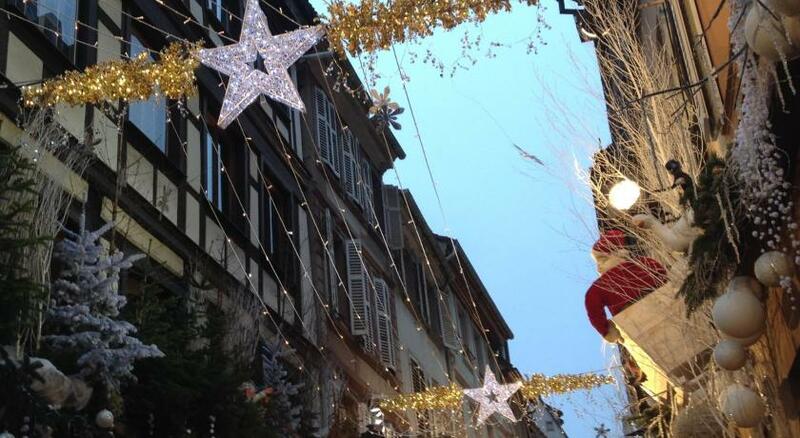 The hotel was ideally located in a quiet square on the island for a short walk to the Christmas markets. Inside the hotel we loved the fireplace downstairs which was perfect for a cold stay in December, and the cozy, colourful bar. A very nice touch was, on our return to our room on the first evening, there was a bottle of champagne and a note to congratulate us on our anniversary. The staff is just lovely. Very friendly and helpful with us and our little dog. They went above and beyond to make our stay special. The hotel itself is beautiful and perfectly situated. rooms are a little bit old.